WT Partnership congratulate Newark and Sherwood Homes, as Gladstone House won ‘Project of the Year’ at the EEM Building Communities Awards 2019. Gladstone House comprises 60 one and two bedroom apartments over three levels, including 40 apartments with extra care services. 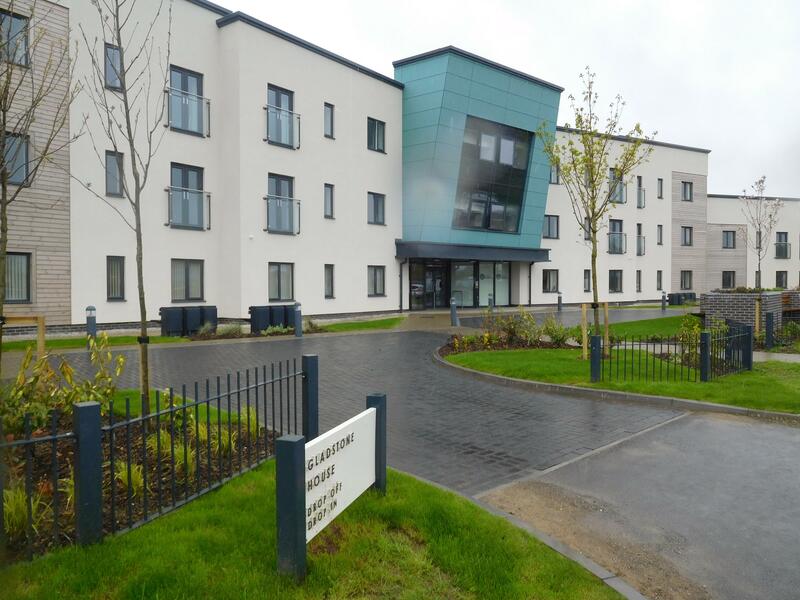 This exciting new build project has been designed to allow people to live life to the full, independently and safely, as their needs change over time. The interior has the benefit of specialist design for residents requiring extra care, including those with low-level dementia. It is packed with features, which make life easier, including; a commercial kitchen, wet rooms, assisted bathing rooms, guest suites, designated charging spaces for mobility scooters and all areas benefiting from cosy underfloor heating. Residents enjoy spacious and bright communal areas, designated rooms providing for beauty therapy, cinema and reading, hobbies and with two secure and attractive external sensory gardens with a feature green wall. WT Partnership were delighted to provide Employer’s Agent, Quantity Surveying and Principal Designer Services on this inspirational project, and look forward to taking forward a second similar project in Boughton, Olerton in the coming months.